UNITED NATIONS, April 12, 2018 - Photo taken on April 10, 2018 shows Russian Ambassador to the United Nations Vassily Nebenzia pushes the microphone away during a Security Council meeting on Syria at the UN headquarters in New York. 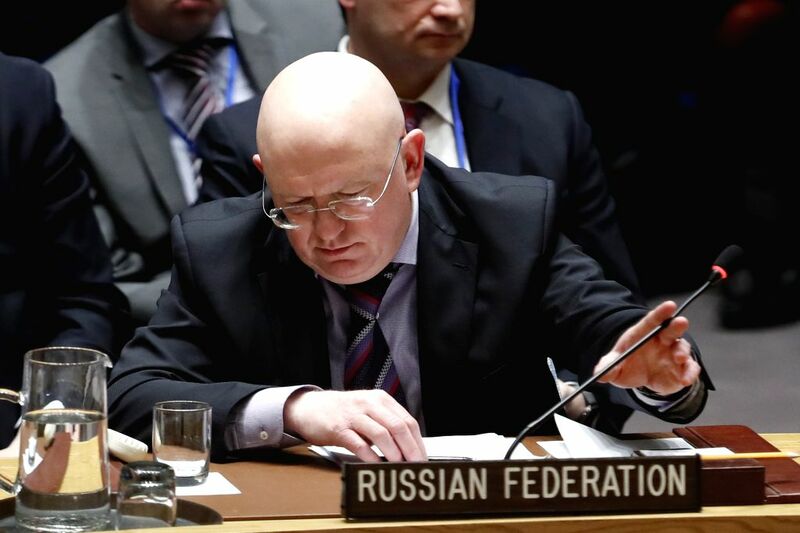 Russian Ambassador to the United Nations Vassily Nebenzia on Thursday warned the United States against military action on Syria. 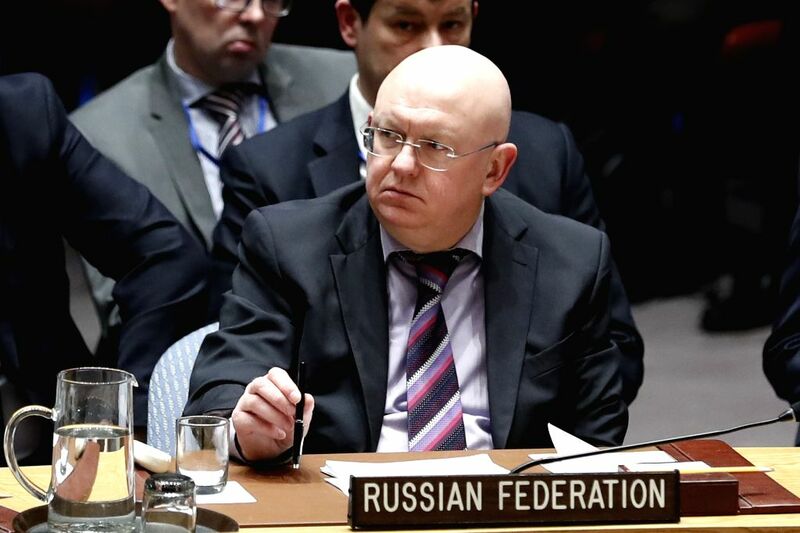 Photo taken on April 10, 2018 shows Russian Ambassador to the United Nations Vassily Nebenzia attending a Security Council meeting on Syria at the UN headquarters in New York.